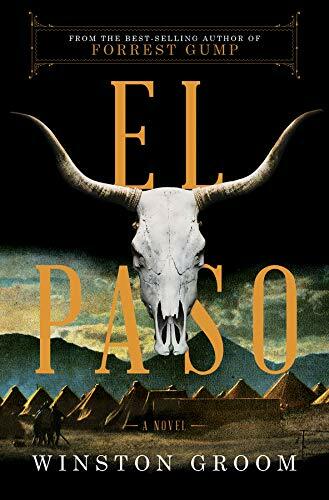 Call it what you will—western novel, historical novel, adventure story—El Paso by Winston Groom is an absorbing read that holds your interest to the last page. Although at 477 pages it is a long book, you will wish it were longer. No one wants a good book to end. It is 1916, and WWI is a raging horror show of trenches, mud, and an incredible number of causalities on both sides. Beyond the economic benefits of government contracts to supply the allies with armaments, most Americans view the war as a slaughter to be avoided aside from those lucrative arms sales. Of more interest is the Mexican Revolution that is raging on the southern border of the United States. That war is also turning a country into a desolate landscape of destroyed villages and vicious killing, often of innocent civilians who happen to in the path of competing armies of Pancho Villa and General Carranza. Arthur Shaughnessy is less concerned with either war than he is about the near bankruptcy of his father’s company, the New England and Pacific Railroad. There is barely enough money to make payroll and meet a loan from the bank, and his father in one of his thoughtless acts decides to sail his yacht to Ireland. Arthur “despised that damned yacht—boat—whatever you called it—and the fortune it cost the company.” Since John Shaughnessy, his careless father, tells Arthur “to handle it,” Arthur does. He gets an extension on the loan by pledging the yacht as collateral. To say that John Shaughnessy is angry is an understatement. Arthur explains that the only other way to save the railroad is to go public, offer stock for sale. John refuses, but decides the best way to earn an infusion of cash is to sell his vast herds of cattle on his Mexican ranch. Arthur believes that would flood the market and depress the price of beef. Meanwhile in Mexico, Pancho Villa is on a rampage. His army is hungry and needs to be fed, and what better way than rustling a sizeable number of cattle from John Shaughnessy’s ranch. Villa had left the Americans and their property alone, but the accommodating general who allows the sale of arms to Villa has been transferred, and the customs agent who replaces him shuts down the arms trade. No more machine guns, no more ammunition, no more boxcars of loads of rifles, cars, and not even coal for the railroad Villa has confiscated. The general is understandably in a sour mood. The raid on the Shaughnessy ranch results is successful and vicious. Not only are many vaqueros murdered, but Villa hangs the ranch manager like a piñata so his men can cut him to pieces. Johnny Ollas, an aspiring bullfighter and a favorite of John Shaughnessy is badly wounded and his wife Donita is kidnapped by Villa. Since Villa has cut the telegraph wires, Shaughnessy is unaware of the raid and then receives only garbled messages. In ignorance, or rather, in defiance of how dangerous Mexico is, John Shaughnessy takes his family, including his two grandchildren, to Mexico. “Arthur had known for a long time that the Old Man was not quite balanced, that he was mercurial and sometimes rash.” But going to Mexico at this time seems more rash than usual. John Shaughnessy arrives to find his ranch nearly destroyed, men killed, cattle rustled, and President Wilson refusing to intervene to protect American interests. John Shaughnessy rounds up his remaining men and prepares to drive his cattle to El Paso. His wife, his daughter-in-law, and his two grandchildren remain behind with Bomba, a longtime servant and bodyguard. Hardly have the Shaughnessys began their cattle drive than his grandchildren are kidnapped by Villa’s men. Bomba and the two Shaughnessy women are wounded. Upon learning of the kidnappings, John and Arthur and several men they recruit in El Paso began a search for Pancho Villa. Also on Villa’s trail are Johnny Ollas and Bomba, each unaware of the other. So begins an arduous and dangerous hunt for Villa. Winston Groom blends history with a strong sense of place to create a compelling story featuring both fictional and historic characters. Besides Pancho Villa and his men, Groom includes such historic figures as Ambrose Bierce, who specializes in making idiots uncomfortable with his blistering journalism; John Reed, a young Socialist who desperately tries to hold on to his belief that Villa is a hero fighting for the people’s right despite the brutality he witnesses; and Tom Mix, who joins Villa’s army for no good reason he can articulate. Gunfights, a cattle drive larger than any can imagine, a landscape both beautiful and merciless, senseless bloodshed as Villa lashes out at anyone he hates, includes the 600 Chinese he murders for no other reason than “he doesn’t like Chinamen;” and a bullfight so realistically described that one can feel the bull’s fury—are all entwined in a seamless plot. Make room on your bookshelf beside Lonesome Dove, Shane, and The Travels of Jaime McPheeters for Groom’s memorable El Paso. D. R. Meredith is the author of fifteen mystery novels, two historical sagas, a TV novelization, several short stories, and innumerable book reviews.